Tyrone Geter's larger-than-life creations are on view at Neema Gallery. April Harrison's artwork will be on display for the month of March at Neema Gallery. Featured artist April Harrison will be in attendance for the March Art Walk as well as sign copies of her book at the gallery from 3-5 p.m. Sunday. Meisha Johnson's goal was to do away with the myth that African Americans don't buy art or can't afford it. Since it opened in November, sales at her Neema Gallery have been about 50/50 white and nonwhite patrons, she says. As a black woman raised in the South, Johnson knew that her role in operating a fine art gallery on the Charleston peninsula that featured exclusively black artists would play a part in diversifying an art scene. "Historically, it seems that black artists get a closed door when they try to get featured in Charleston galleries," Johnson says. She's heard that story from many individuals who have approached her since the gallery opening, and already she's welcomed many into her space. Neema, which means "favor and grace in prosperity" in Swahili, occupies the space of the former Ellis-Nicholson Gallery on Broad Street. African-American artists who work in media such as oil paintings, jewelry and sculpture now are featured on those walls. 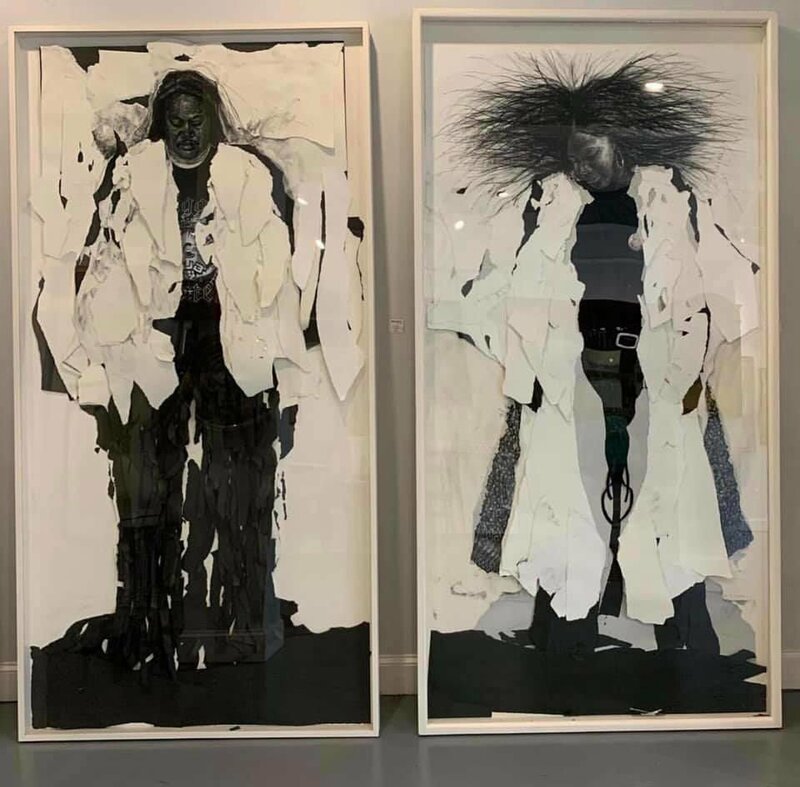 Among them are April Harrison, a children's book illustrator from Greenville who is the featured artist for March, and Tyrone Geter, a retired art professor from Columbia's Benedict College who works in charcoal and shredded paper to create larger portraits that brush against the ceiling. Charles Pinckney's earrings, brooches and necklaces are on display in one corner. A sweetgrass basket sits in the window. "This city does something to my soul, unlike any other place I've ever been," Johnson says. "You can't talk Charleston history and not talk African-American history," she says. She's doing her best to showcase some of that history, with a sweetgrass basket talk from a local artisan every Thursday and book signings by black authors every Sunday. She also hopes to host a supper club for locals to mingle and share life perspectives, as well as a drum circle and Gullah storytelling hour for kids. It's not only about being a minority artist. It's about sharing stories. "I'm not just looking for talented artists," Johnson says. "I'm looking for talented artists who have a mission, who want to impact the world in a positive way." She also wants Neema Gallery to shatter the assumption that black artists only make portraits of black people. She wants to showcase not only figurative work of all kinds but also abstract art and more. "I want to show diversity within African-American artistry," Johnson says. "If folks can't tell that a black person painted something, that's the goal. African-American artists feel like they have to, or are asked to, stay in the bubble of only portraying other African Americans, when they don't have to." April Harrison's new works will be on display for the month of March. The latest book she illustrated, "What is Given from the Heart," will be for sale. She will be at the gallery signing copies 3-5 p.m. Sunday, March 3.